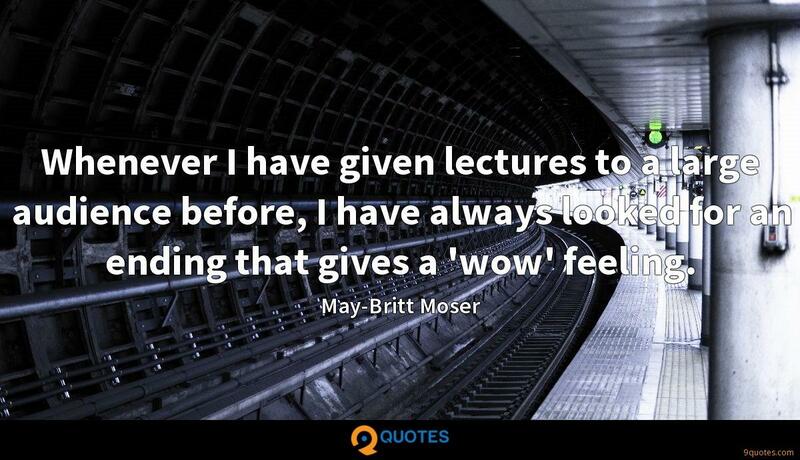 May-Britt Moser Quotes. 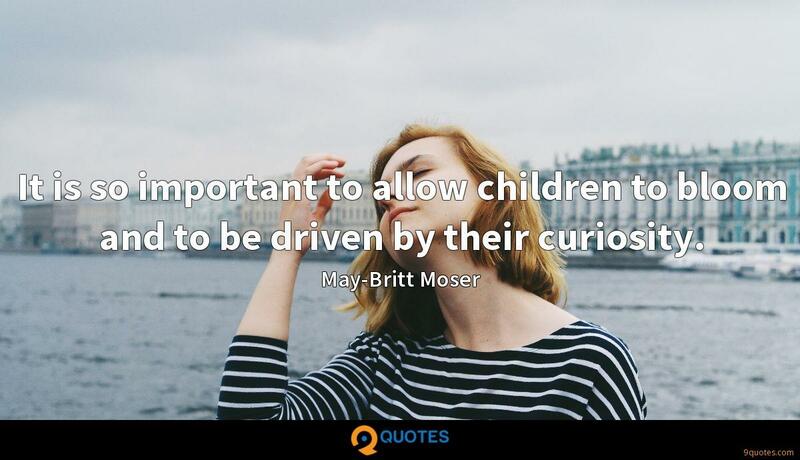 9quotes.com, 2018. http://www.9quotes.com/quote/may-britt-moser-440052, accessed 24 April, 2019. Looking back on high school, I just remember specific scenarios and thinking, wow, that was such a big deal at the time, but right now it feels like it never even happened. So I guess if I can give any advice, I would just say that everything will pass, and it'll feel like it was a big deal over nothing. 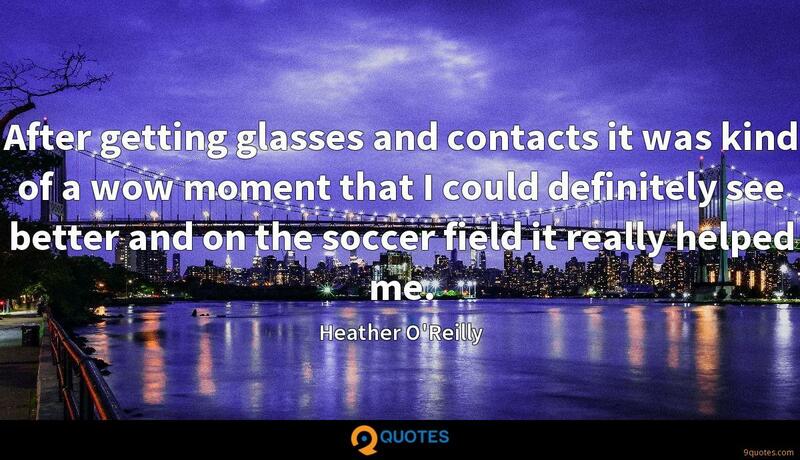 After getting glasses and contacts it was kind of a wow moment that I could definitely see better and on the soccer field it really helped me. As we produce work that becomes pure poetry, we impact and influence our teammates, we wow our suppliers, we inspire customers and strangers. And we lead our industry. I was trained to be very tough. 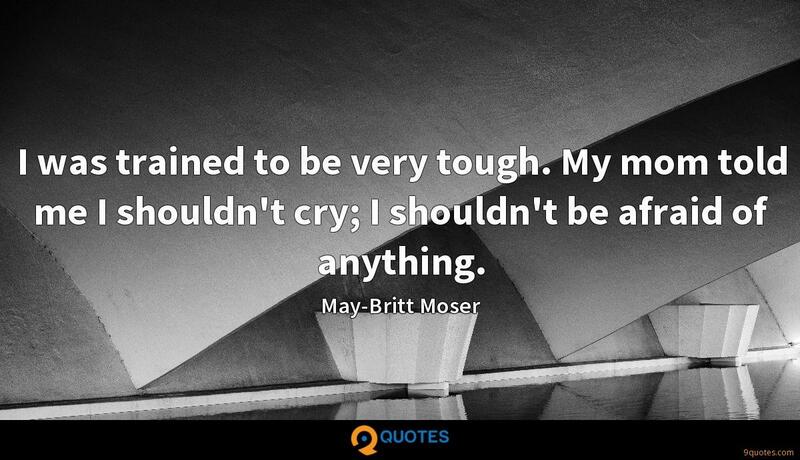 My mom told me I shouldn't cry; I shouldn't be afraid of anything. We didn't care about salaries and having a nice car. 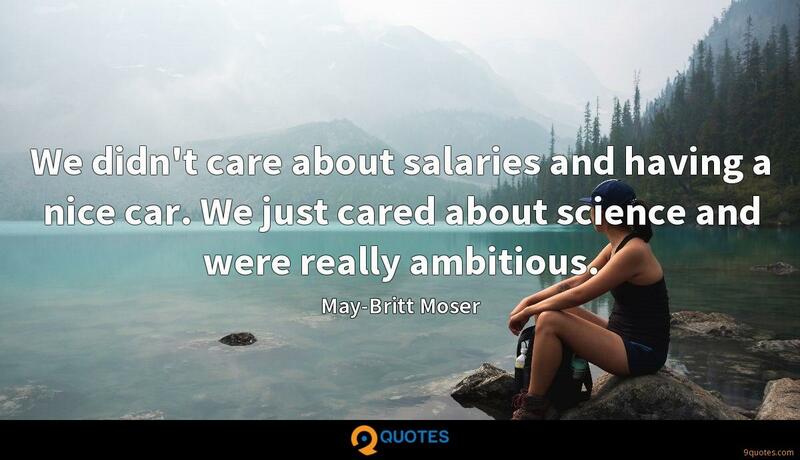 We just cared about science and were really ambitious. 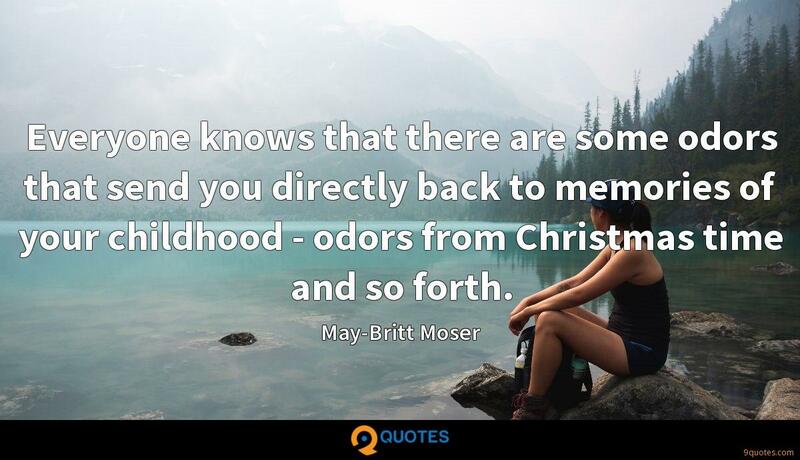 Everyone knows that there are some odors that send you directly back to memories of your childhood - odors from Christmas time and so forth.